Welcome to the November 2016 issue of Ten One. 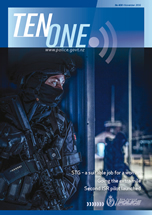 In this issue, we see how Police staff went the extra mile for a grieving family, highlight the good work that reunited a whanau with a lost member, look at a trainee dog handler’s long but rewarding day, meet a pioneering woman in one of Police’s toughest roles, and see how Te Reo Maori helped break an impasse in the cells. Read it here….